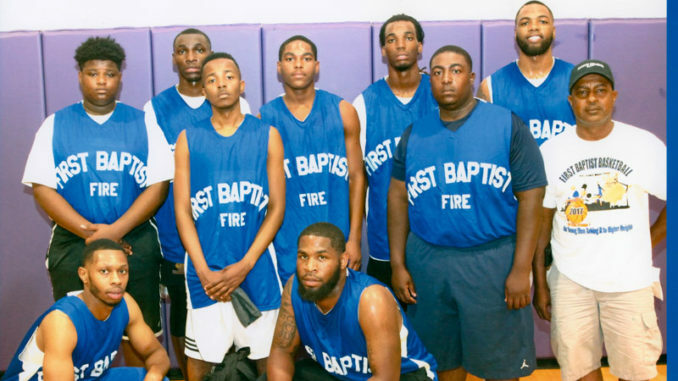 The First Baptist Fire, winners of last year’s Christian Basketball Tournament. Six years into the annual Christian Basketball Tournament put on by First Baptist Church in Paradis, tournament founders decided the successful event could go a long way to helping parish youths. Now with the event ready to celebrate its 25th birthday when this year’s tournament kicks off on Saturday at Hahnville High School, the event not only fosters community togetherness but also annually raises money to provide scholarships for St. Charles Parish youths to attend college or technical school. Eight teams will participate in the three-on-three competition, which is open to players ages 10-14. The doors open at 8 a.m. Admission is $2 for adults and $1 for children. The scholarships provide 85 percent of each student’s tuition, with sponsors, churches and the St .Charles Parish School System combining to make the effort possible. Students of St. Charles Parish Public Schools are eligible. More than $30,000 in scholarship funds have been raised through the effort. Twenty years ago, Bro. Wayne Baloney says he received a vision from God to host a Christian basketball tournament in order to foster stronger faith within the young men of St. Charles Parish. Today, that vision, which was captured by the late Rev. 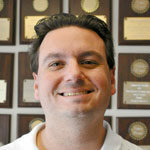 Albert Charles, has helped open the college door for teens of First Baptist Church of Paradis. Hills said the family-friendly event has symbolized unity and clean, fun competition — there’s been no fighting or issues with tempers flaring as the teams square off over the 25 year run, he said — and that the tournament has only gotten better and better as time has gone on. Churches represented include First Baptist Church of Paradis, Mount Zion Baptist Church of Ama, Mt. Airy Baptist Church of Boutte, Canaan Baptist Church of Killona, Bell-Bethlehem of Hahnville, Triumphant Church of Luling, Community Church of Kenner and Destiny Church of LaPlace. To help raise the funds, each team is charged an entry fee and the players must buy shirts to enter. Several sponsors step up yearly as well to make the scholarships a reality. The event is held annually at Hahnville High, which does not charge for the use of its gym. For more information, contact Wayne Baloney (228) 355-4812 or Donnie Hills at (504) 401-7884.